The Society's Image Gallery has recently been expanding rapidly. To date, we have 137 images. Thanks must go to all who have contributed images, in particular David Rose, Michael Hall and Steve Smith. David Rose has been a major contributor to the image gallery for many years, his speciality being black and white CCD images of Deep Sky objects. Recently however, he has started producing colour CCD images. 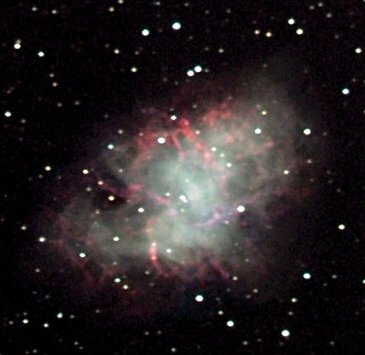 So far, the most spectacular of these is his image of M1, the Crab Nebula, taken through a ten inch Schmidt Cassegrain Telescope (SCT). He created the image by using a monochromatic CCD to take three separate images through red, green and blue filters. These were then combined into a colour image. 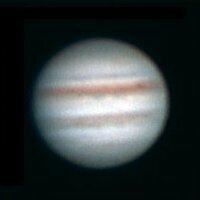 He used the same technique to produce these images of Jupiter. Astronomical CCD's are extremely expensive. However, high quality results can be achieved by using CCD's from webcams. 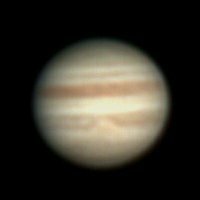 Webcam CCD's lack the sensitivity of astronomical CCD's but are still very useful for imaging bright objects such as planets. The main advantage of digital images is that they can be enhanced. An example is Steve Smith's image of Saturn. He used a webcam through an eight inch SCT to take images of the planet at a rate of five per second for just under 30 seconds, giving a total of 149 images. The resultant Video can be seen in the Animation section. The individual images (four of which are shown above in actual resolution) were of poor quality. Also, the position of Saturn moved within the frame due to atmospheric distortion. The first stage of enhancement was to align the images. Next, the aligned images were 'stacked', or combined into a single image. This was then enhanced using a deconvolution algorithm to produce the final image. 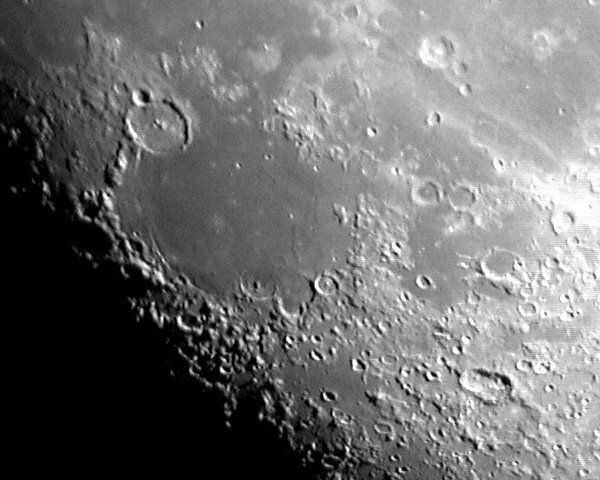 Steve also used a webcam to take this image of the moon, showing the Mare Humorum. The craters Gessendi (top left) and Vitello (bottom right) can be seen. Another example of Steve's work is this image of the sun. He took it through a solar filter to remove all but a tiny fraction of the light. 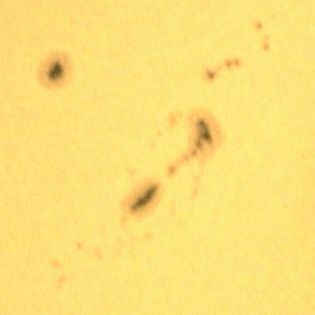 Sunspot regions 9824 and 9825 can be seen. Impressive as the gallery is, it is by no means finished. If you have any images or sketches that you like to be included, please Contact us. All contributions are welcome.